2015 marks the 150th anniversary of Frederick Warne, which was founded in 1865 and is most famous for publishing Beatrix Potter's The Tale of Peter Rabbit. 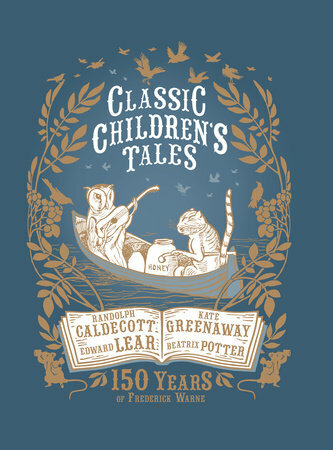 To celebrate the anniversary, we have compiled Classic Children's Tales:150 Years of Frederick Warne, an attractive foil-stamped collector's item that includes "Sly Old Cat," a never-before-published story of Beatrix Potter's. It also features stories from household names in children's books: Randolph Caldecott's "Sing a Song of Sixpence," Kate Greenaway's "Apple Pie" and "Mother Goose," and Edward Lear's "Nonsense Songs and Stories" and "The Book of Nonsense."